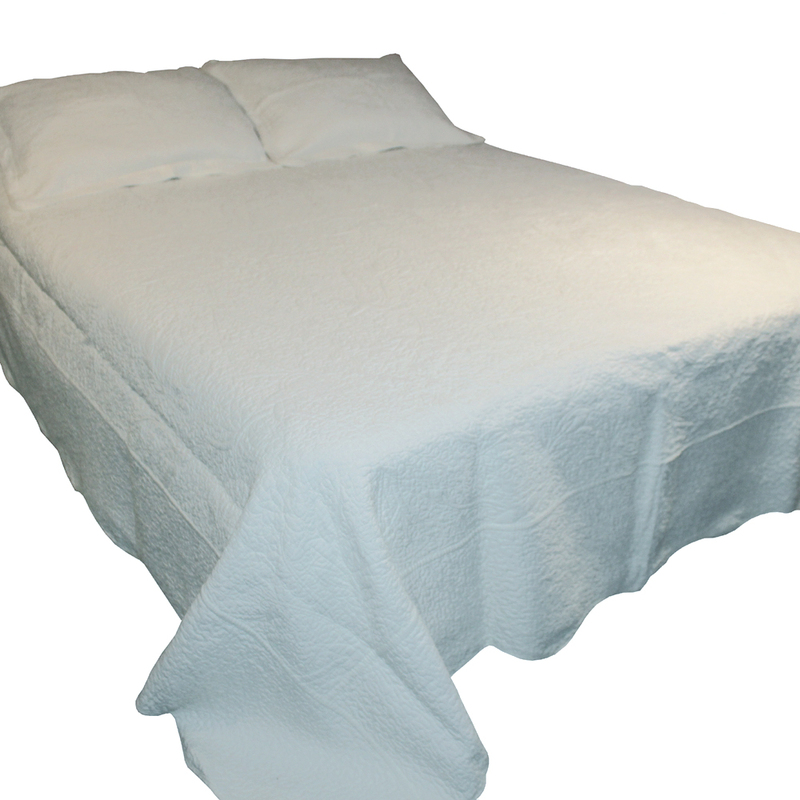 A high quality White Quilted Throw - Bobble (250cm x 240cm) for the home. This luxury white quilted throw with bobble design embroidery. This quilt comes with 2 matching pillowcases (approx 65 x 55cm).